Tapping into a gigantic freshwater aquifer underneath the Ohio River, Tell City’s Water Department has 11 wells, serving 3,450 households and industrial customers in southern Perry County. With approximately 154,500 feet of pipelines running throughout the community, the Water Department can pump 1,580 gallons of water per minute and filter 2,885 gallons per minute. In its 10th Street tower, 500,000 gallons of water can be stored for use while 750,000 gallons can be stored in the Water Department’s Pestalozzi Street tower. 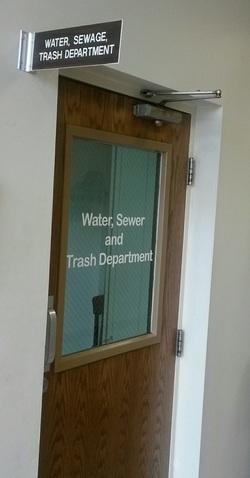 The Water Department’s staff also handles billing for residential sewer customers and weekly trash/recycling collection.